Queen Anne Greenways | Working to make traveling around Queen Anne safe for people of all ages and abilities. Welcome to Queen Anne Greenways! Queen Anne Greenways (QAG) is a neighborhood group comprised of residents of Queen Anne Hill. We work together to increase mobility and accessibility for people of all ages and physical abilities. This includes walking, cycling, and driving, with an emphasis on safety. Much of our work involves greenways. Greenways are residential streets that are comfortable places for people to walk, bike, skate and run. They often run parallel to arterial routes, connecting people to parks, schools, shops, and other community activity centers. Traffic calming measures discourage drivers from using these neighborhood roads as a way to avoid traffic on main streets. QAG is one independent group among many neighborhood groups affiliated with Seattle Neighborhood Greenways. 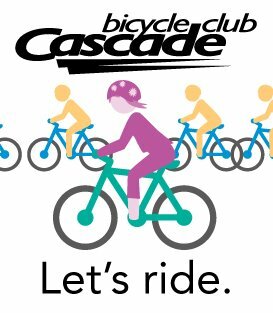 Together we form a coalition advocating for healthier and safer streets throughout Seattle. QAG is working on numerous projects including promoting the Crown of the Hill Greenway (pictured below), evaluating public staircases, and advancing connections between Queen Anne, Uptown, and neighboring communities. To learn more about our organization, visit our About Us page and browse through our website. Get involved with Queen Anne Greenways. View our Blueprint for a Walkable and Bikeable Queen Anne. 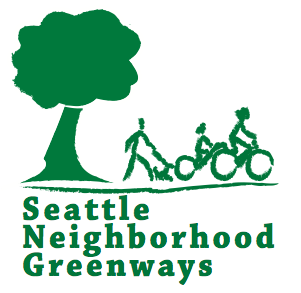 Learn more about greenways in Seattle by reading our blog and visiting our Resources page.